Links to this page can be found in Book 6, Map B2, Day 1, View C6 and Rione Colonna. In 1665 Pope Alexander VII pulled down Arco di Portogallo, the remains of an ancient Roman arch which made difficult the passage of carriages in Via del Corso near Piazza di S. Lorenzo in Lucina; he also enlarged Via di Campo Marzio, a street linking the square with Piazza dell'Immacolata Concezione. By 1756, when Giuseppe Vasi engraved this etching, most of the buildings surrounding the square had been replaced by new ones or redesigned and the medieval church had been given an aspect more in line with the artistic trends of the time. The view is taken from the green dot in the small 1748 map here below. 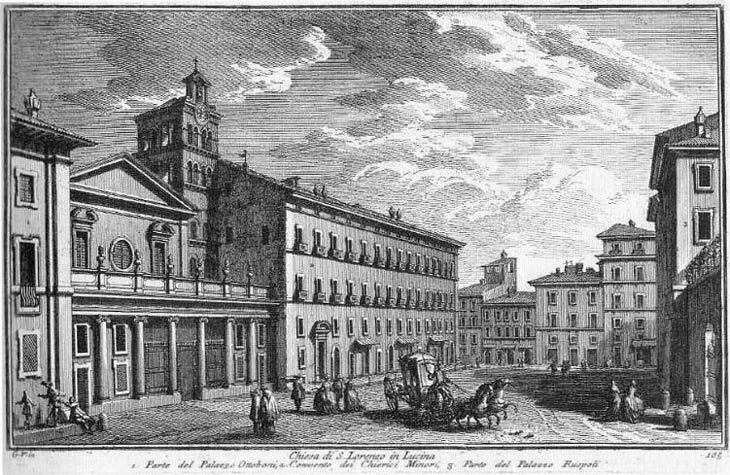 In the description below the plate Vasi made reference to: 1) Part of Palazzo Ottoboni; 2) Convento dei Chierici Minori; 3) Part of Palazzo Ruspoli. 1) and 3) are shown in detail in other pages. The small map shows also 4) S. Lorenzo in Lucina; 5) the site of Arco di Portogallo in Via del Corso. The dotted line in the map delineates the border between Rione Campo Marzio (above) and Rione Colonna (below). In the late XIXth century changes were made to the façade and to the bell tower of the church and Palazzo Ottoboni was redesigned. 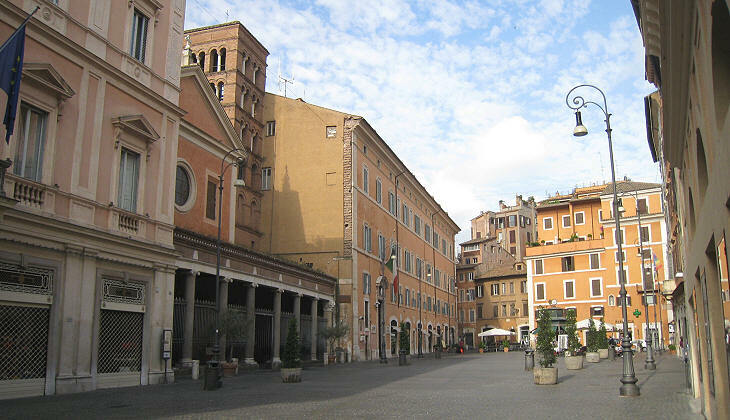 Overall however Piazza S. Lorenzo in Lucina has retained its XVIIIth century appearance. It greatly gained from being turned into a pedestrian area in the late 1990s. 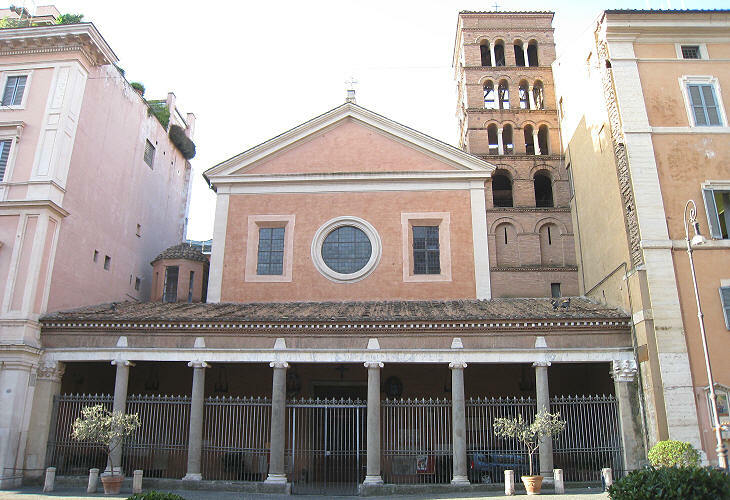 S. Lorenzo in Lucina is one of many Roman churches dedicated to St. Lawrence, a martyr of the IIIrd century, especially popular for the cruel way he was put to death (he was roasted on a gridiron). 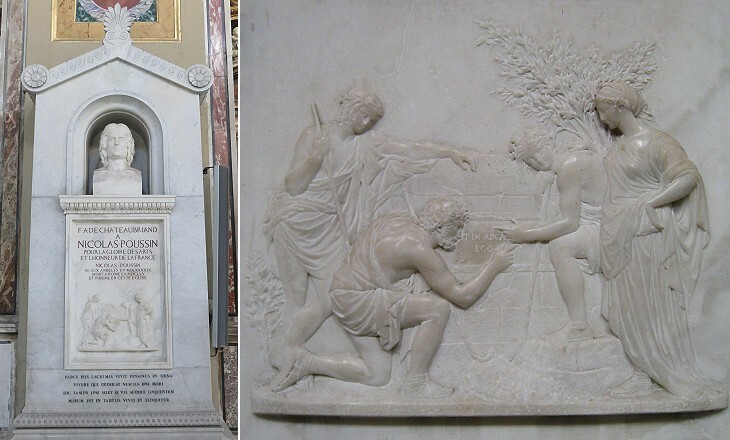 The church is not associated with events of his life (unlike S. Lorenzo in Fonte, S. Lorenzo in Panisperna and S. Lorenzo fuori le mura), but it houses some relics of his martyrdom and in particular a section of the gridiron (the image used as background for this page shows a decoration based on the gridiron in the interior of the church). The reference to Lucina is most likely a reference to a large house belonging to Lucina, a Roman matron, where the early Christians met to pray. Traces of a building of the IIIrd century AD have been found under the church, but at the time of Emperor Augustus the area was part of Horologium Divi Augusti, a gigantic sundial. 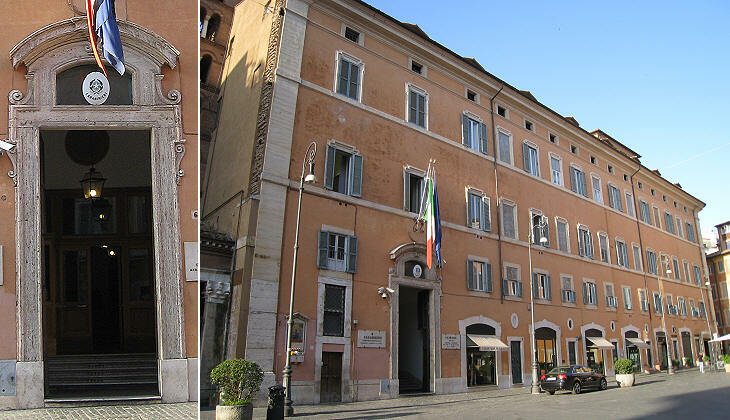 Changes made in 1858 and in 1919 restored the medieval appearance of the façade (you may wish to see it in a 1588 Guide to Rome). 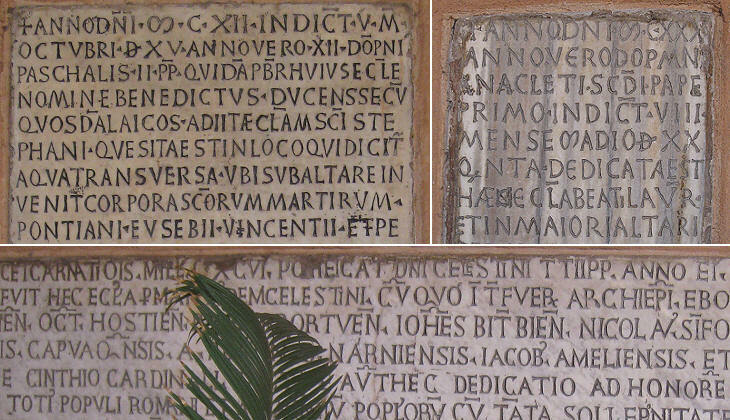 Three interesting inscriptions in the portico provide useful information on the history of the church and on the quality of inscriptions in medieval Rome. During the 1084 sack of Rome by the troops of Robert Guiscard S. Lorenzo in Lucina was greatly damaged. Pope Paschal II started its reconstruction and he added the portico and the bell tower; he rebuilt/restored also SS. Quattro Coronati and S. Bartolomeo all'Isola. The church was consecrated in 1131 by Pope Anacletus II, but the Second Lateran Council in 1139 established (after his death) that he was not to be considered a pope and therefore some sixty years later Pope Celestine III thought it better to consecrate the church a second time. S. Lorenzo fuori le Mura, SS. Giovanni e Paolo and SS. Apostoli are some of the medieval churches of Rome which retain lions standing at the sides of the entrance. The lions were symbols of Jesus or of the Church protecting the faithful who were portrayed as small human beings or lambs or young deers, but there are instances in which the lions were given a more aggressive aspect as they acted as wardens. 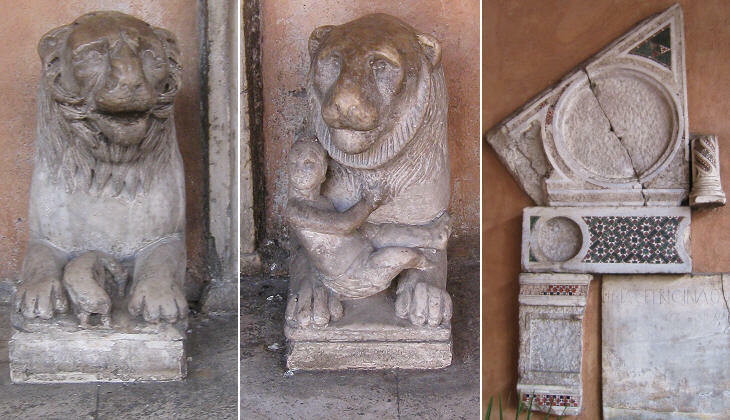 You may wish to see the lions at Civita Castellana and Priverno. 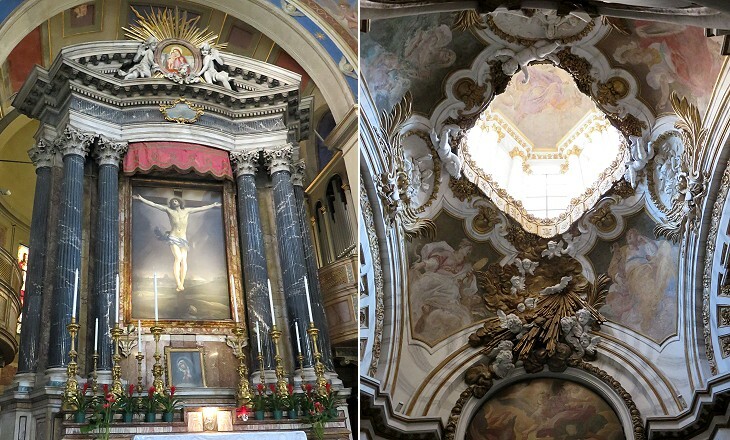 The interior of the church was significantly impacted by the changes made in 1858, among which a new ceiling with a painting by Roberto Bompiani. Only the main altar and some chapels were not redesigned/redecorated. 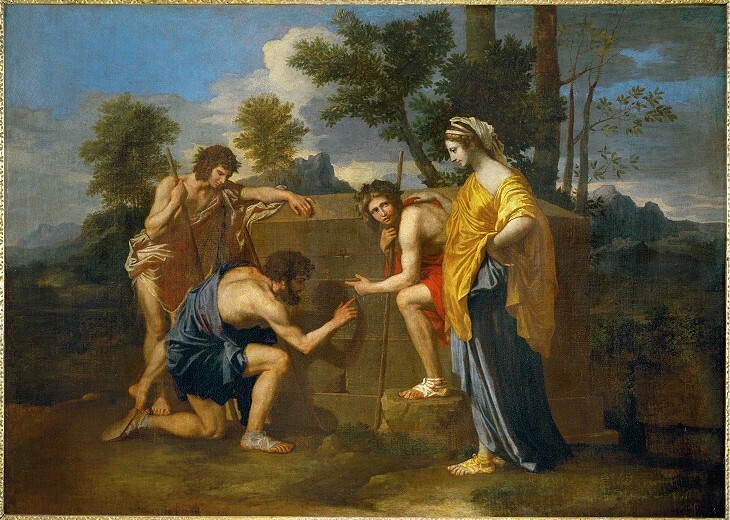 Nicolas Poussin with Simon Vouet and Claude Lorrain was one of the leading French painters of the XVIIth century who spent most of their life in Rome. 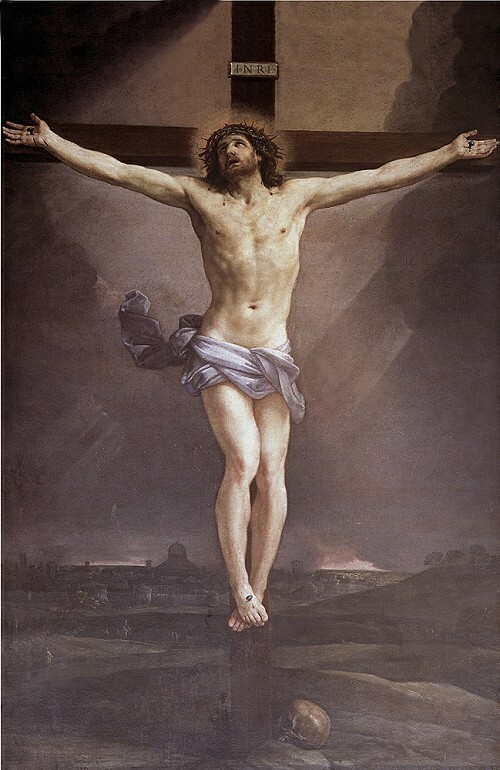 He mainly worked for private patrons in Italy and abroad, rather than in the decoration of churches and chapels. The church houses also the Monument to Gabriele Fonseca by Gian Lorenzo Bernini. In 1606 Pope Paul V assigned the church to the Caracciolini, as the members of a religious order (Clerics Regular Minor) founded by St. Francis Caracciolo, are usually called in Italy (abroad they are known as the Adorno Fathers). The adjoining monastery was designed in 1663-665 by Carlo Rainaldi; today it is in part occupied by a Carabinieri station (a Police corps which is a branch of the Army). You may wish to see a 1729 house opposite the monastery which was built to rent its flats. Next plate in Book 6: S. Niccolò de' Perfetti. Next step in Day 1 itinerary: Monastero di S. Silvestro in Capite. Next step in your tour of Rione Colonna: Obelisco cavato di sotto le ruine. Due si crede, che possano essere le cagioni, per cui questa chiesa parrocchiale si dica in Lucina; la prima, si arguisce dal tempio di Giunone Lucina, che fu ridotto in chiesa da s. Sisto III. e l'altra perché edificata da Lucina Matrona Romana. Fu poi da Benedetto II., Sergio I., e Adriano I. ristaurata, e nell'anno 1196. consagrata da Celestino III. Quindi essendosi nuovo riattata dal Card. Ugo Inglese, e dal Card. Innico Avalos spagnuolo titolari della medesima, fu poi da Paolo V. conceduta a' Chierici regolari minori l'an. l606. Nelle undici cappelle della sua nave ornate di pitture, e di sculture, specialmente l'altare maggiore, fatto con magnifico disegno del Cav. Rainaldi, si vede fra gli altri il ss. Crocifisso dipinto da Guido Reni, e nella cappella accanto un quadro del Cav. Benesiani; e nell'ultima uno di Carlo Veneziano: Le pitture però nel soffitto che rappresentano la Risurrezione del Signore sono di Mommetto Greuter napoletano, e le altre dello Spadarino, e del Piccione.